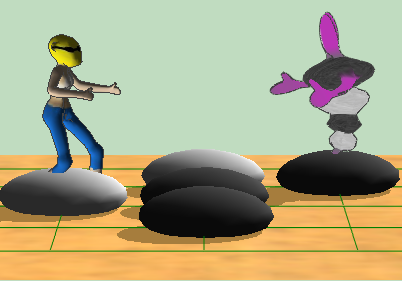 Dariush3D, an excellent freeware to play Go or AtariGo in 3 dimensions and with animations, size 3x3 to 19x19, against him or in network. Ideal to give desire for playing to children. The best AtariGo software of the world!! Ideal to progress at go. Dariush Sudoku , a super freeware to create grids 9x9 (very quickly) or to assist you in the resolution of your grids.